Working Americans from all walks of life have observed how more and more unfair our current economic, health care, higher education and tax systems are becoming. WE THE PEOPLE are now charging that so much wealth has been concentrated into the hands of so few people here in the US that our entire economic system is dangerously out of balance. 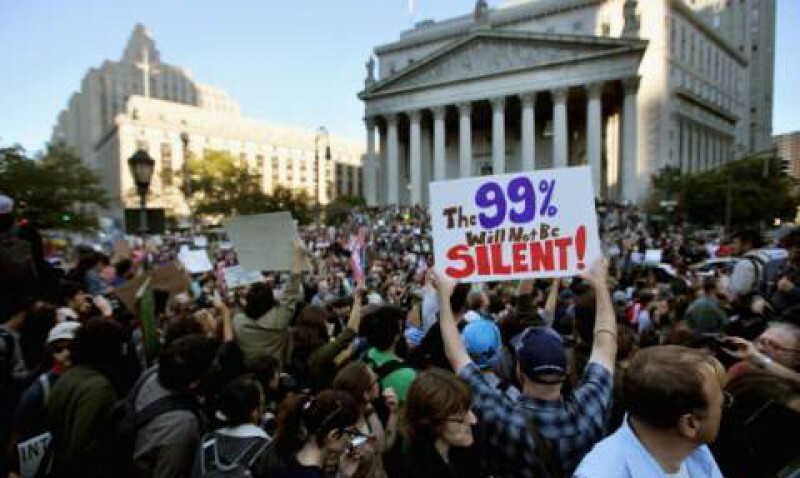 With over 97% of our country’s wealth in the hands of approximately 1% of the US population, WE THE PEOPLE formally charge that the poor, working and middle classes in the US are being systematically obliterated, that nearly all wealth, privilege and political power is being systematically taken away from the American people, and that this is being orchestrated with evil intent. Since our patience has run out completely with our government in its currently sorry state of affairs, and since there is no relief in sight for the class war that WE THE PEOPLE find ourselves embroiled in, a Second American Revolution is therefore declared to be underway, with its ultimate goal being the return of our country to its people by any and all means necessary. WE further assert in a unified voice that the need for the old 20thcentury style abusive and incompetent government bureaucracies, the US national debt and the so-called Federal Reserve, the rigged capitalist economic system and the illegal and unconstitutional federal income tax no longer exist, and that they be now swept away by this same Second American Revolution in a peaceful manner so far as it is possible. Class warfare has been declared by the richest top 1% of all income brackets against the remaining 99% of all Americans, and this has been going on since at least the 1990’s, and technically even before that. The protests and demonstrations that have been going on in Egypt, Tunisia, Libya, Bahrain, Yemen, Syria, Israel, and most recently in England are already beginning in the USA. We represent organized resistance against the rigged economic and political system that has us all enslaved. We are the new voice of peaceful dissent and the new American insurgency that is the latest in these series of citizen uprisings against the established order of abusive authority, illegal foreign intervention through military occupation, enforced economic inequality that amounts to slavery, and the systematic theft of our jobs and personal incomes, our homes due to illegal foreclosures, our pensions, retirements, savings and investments, and the denial of access to health care and higher education. If we do not start fighting back right now while there is only a little time left, there will be no more middle class left in the US by the end of this decade. Our situation is extremely serious, and so it calls for an equally serious response from WE THE PEOPLE. You can join this fast-growing movement by contacting us at greatest_servant@2ndar.org. You can also support us by purchasing a copy of the newly released book, “The Middle and Working Class Manifesto” from our order page. Paul J. Bern is an author and independent publisher, political activist, pastor and retired IT professional. He and his online church, Salt and Light Ministries, are based in Atlanta, Ga. His 2 websites are his church at http://www.brotherpaul.org and the activist site ” Second American Revolution” at http://www.2ndar.org. Took me time for you to read all the comments, but I truly enjoyed the article. It proved to become Extremely helpful to me and I’m sure to all the commenters here It’s usually good when you can not only be informed, but also entertained I am sure you had fun writing this post. It seems to me that this web website doesnt load up on a Motorola Droid. Are other people getting the same problem? I like this webpage and dont want to have to miss it whenever Im away from my computer. Try going to the WordPress.com main website, there should be a downloadable app for that. If not, I think I will want to know why myself as well. Definitely don’t be shy about letting them hear from you if you don’t get a good response. Shalom!